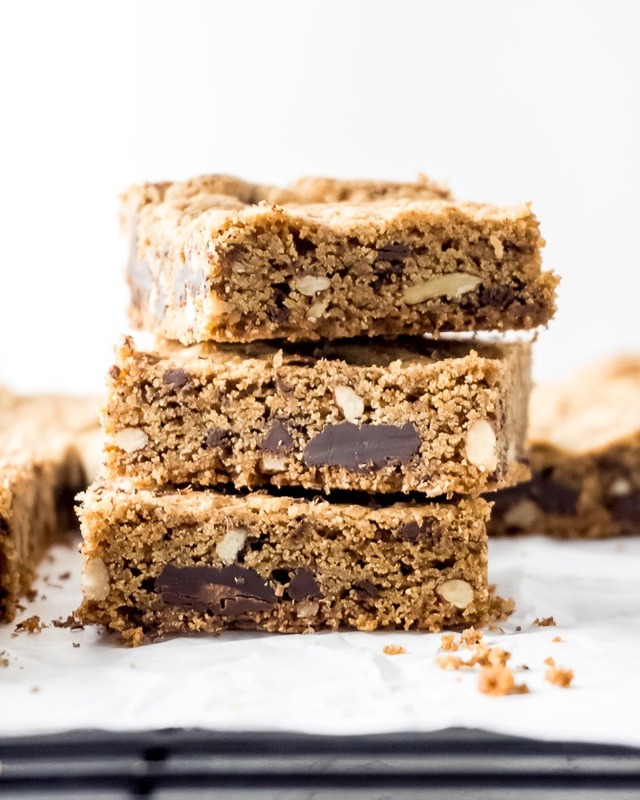 Chewy gluten-free blondies made with toasty brown butter, chopped dark chocolate, and crunchy pecans. 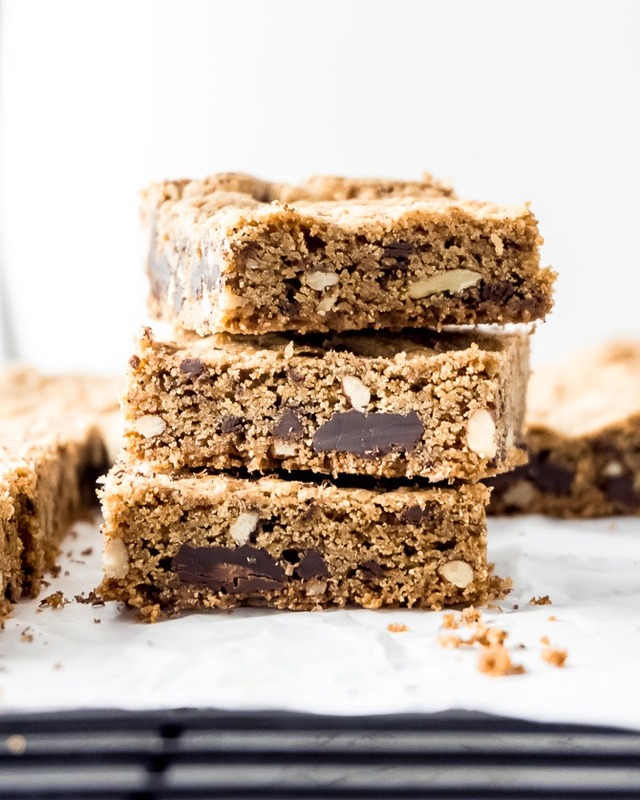 Made with oat flour and rice flour, these blondies are full of butterscotch flavor. You guys, these blondies are really good. The recipe is simple, but the result is truly delicious. They’re buttery and gooey, sweet and salty, and the pecans really put them over the top. This recipe makes blondies that are chewy and fudgy with a thin, crinkly top. They taste like deep buttery caramel or butterscotch. You can keep them simple, or customize them with add-ins: toasted pecans, walnuts, dark chocolate, or white chocolate chips. You might have guessed: the main difference between a blondie and a brownie is the chocolate. In the simplest of terms, a blondie is a brownie without the chocolate. 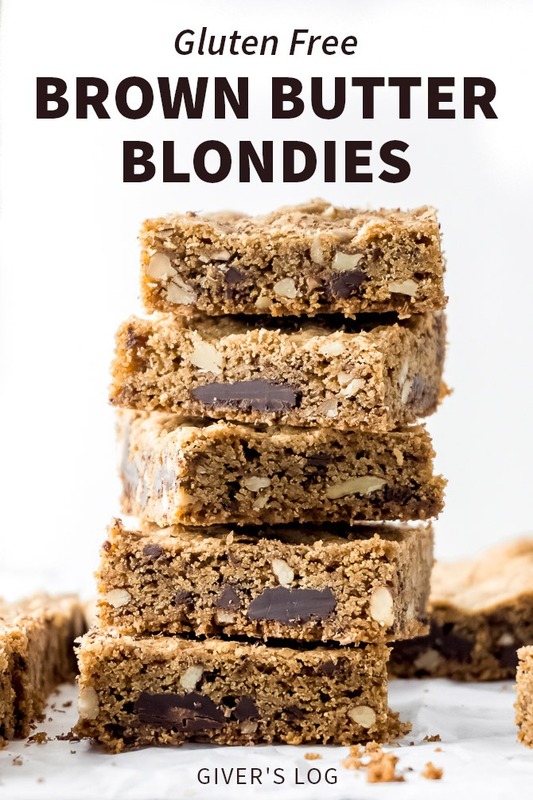 In fact, blondies are occasionally referred to as “blonde brownies”. Both have a very similar texture: chewy, a little dense, gooey in the middle with crunchy edge pieces. But blondies have a completely different flavor – though still just as rich and delicious. Think sweet brown sugar and rich toasty brown butter. Add to that some aromatic vanilla and natural butterscotch notes from gluten-free oat flour. 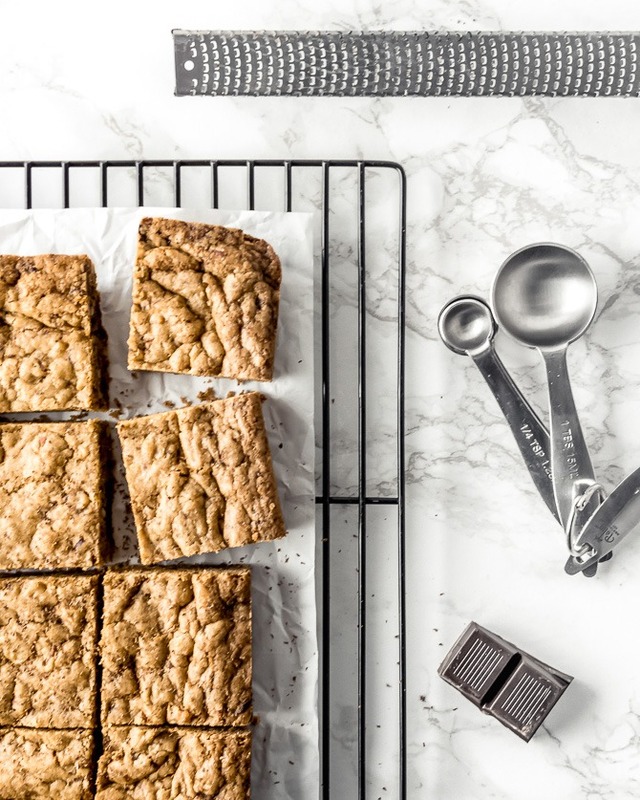 You know I’m big on easy — and dare I say “lazy” — recipes like these one-bowl blondies. What makes this one of my favorite easy desserts is the simple mixing process. This blondie recipe is a one-bowl recipe that you can whip up in under 15 minutes. No electric mixer required. The nutty toasted flavor of beurre noisette (i.e. 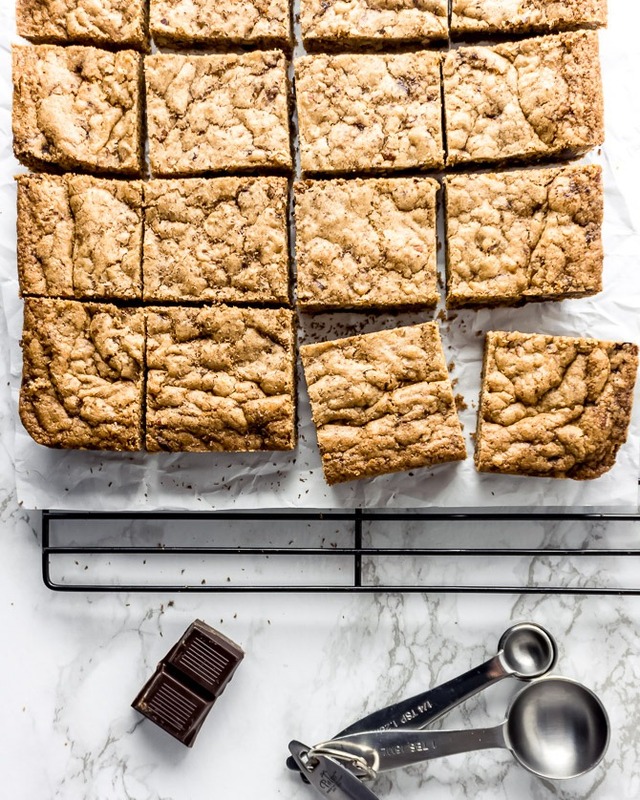 brown butter) really makes these gluten-free blondies something special. And since we’re melting the butter anyway, why not go the extra little step and make browned butter. Making brown butter is a simple trick that can totally elevate the flavor of your blondies or other baked goods. To make brown butter, start by heating butter in a heavy saucepan over medium-low heat. The buyer will start to separate into butterfat and milk solids. It will foam, but just keep stirring. The milk solids will begin to brown and caramelize. Once the butter smells fragrant and nutty, take it off the heat and pour it into a large mixing bowl. Let it cool, and you’re ready to use it in this blondie recipe. Oops! Did you run out of brown sugar? For each cup of brown sugar that your recipe requires, substitute 1 cup of granulated white sugar and 1 tablespoon of molasses. So for those keeping score at home, you’ll need to substitute ⅔ cup of white sugar and 2 teaspoons of molasses for the ⅔ cup of brown sugar cakes for in this recipe. 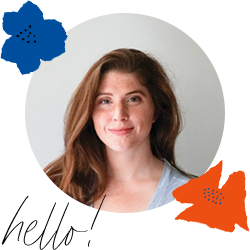 What can I substitute for gluten-free flours? This recipe uses a mix of oat flour, white rice flour, and cornstarch. You can substitute another starch – like tapioca or potato starch for the cornstarch. If you have a pre-made gluten-free flour blend that you like using, go ahead and substitute an equivalent amount for the flours in this recipe. If your pre-made blend already contains xanthan gum, you can omit the xanthan fun I call for in this recipe. What can I substitute for nuts? You can add up to 2 cups of your favorite add-ins to this blondie recipe. I call for chopped toasted pecans and dark chocolate chips in this recipe. I like this combination for a nice balance of bitterness/sweetness and crunch. But walnuts, white chocolate, toffee bits, and even dried cherries would all be welcome additions to this gluten-free Blondies. Of course, you can also leave the nuts out completely! Yes, they freeze well for up to two months! Make sure they’re completely sealed so they won’t dry out. About 2-3 days at room temperature in an airtight container. How do I cut neat squares?